For the many of us interested in research or academic careers, doctoral programs are an integral step in our training. While deciding on, applying to, and choosing the best doctoral program for you are all important pieces, there are other complicated steps to navigate once you’re enrolled in a program. This is especially true after you’ve completed the required coursework and leave the more structured, standardized part of the doctoral program journey into the unstructured part: the dissertation. As public health doctoral students, we know firsthand that there are many unknowns and ambiguities when it comes to developing a dissertation proposal, choosing a thesis committee, and keeping on track of schedule. While all doctoral programs are different and every student’s journey is unique, we’re happy to share some tips and lessons we’ve learned along the way. Plan out your courses early and thoughtfully. For many programs, there are lots of courses you can take to fulfill requirements. 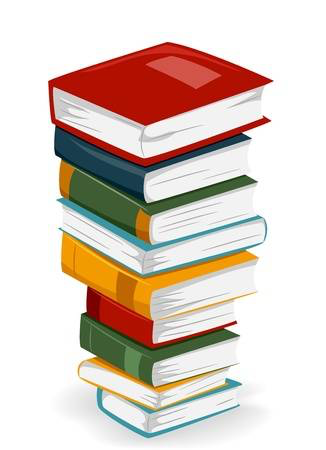 While it is good to get breadth, also choose courses that will give depth and ultimately help you conduct your dissertation work. These may fall under: a) content-heavy courses where you can learn specifics about research in your topic of interest; or b) analytic or methods courses where you can learn broad methodological tools to apply to your research. Ask other students for advice. Fellow students can offer social support and, in many cases, great friendships. But they can also provide important insight on all kinds of questions, like the best classes to take, how to format a dissertation proposal, when to schedule an oral exam/defense, and faculty member working styles. Particularly for programs where you have a single academic advisor, it’s helpful to get to know other students who have the same advisor or who have worked closely with that faculty member. Choose a committee to help you succeed. Most doctoral programs will involve a dissertation committee of about 3-4 faculty members whom the student chooses and invites to participate. Typically, your primary academic advisor will serve on your committee, and they can be helpful in recommending other committee members. Try to choose faculty who will cover different aspects of your dissertation research—such as content experts who are highly knowledgeable about some aspect of your research question, methodologists who are experts in the statistical methods you employ, or researchers who are really familiar with the data you’ll be working with. Understanding potential committee members’ personalities, dynamics, and working styles is also important, so don’t be afraid to politely “ask around.” Questions like “How would you describe Dr. X’s mentorship style?” or “How does Dr. X work with students?” can yield really valuable info. Remember, you’ll need to have your whole committee in the same room every few months, so a committee with all the top faculty in the field may not necessarily be the best committee for you, since it could post a scheduling nightmare. It’s most important that you make sure to select faculty members who are willing to give you constructive feedback and who will be available to you, no matter their academic rank. Make a schedule for yourself. Ironically, many students find that one of the hardest aspects of the doctoral program is the freedom. Once you’re working on your dissertation research, you are typically managing your own schedule and likely won’t have anyone to keep track of your work day to day. Work with your advisor to figure out a timeline for thesis milestones and try your best to stick to them. Work backwards from your milestones and try to plan the time needed for different parts of your projects—and remember that research can be a slow process and many of the tasks will end up taking longer than you think! Try to set recurring meetings with mentors. Although most faculty members are incredibly busy, setting up separate, recurring meetings (e.g., every two or three weeks, once a month) with your advisor or with individual dissertation committee members is a great way to get your specific questions answered, keep your mentor(s) up to date on your work, and identify any issues or errors early on in the project. These meetings will also help keep you on track with your work, as you will need to be prepared to give updates or have questions for each meeting. And remember, everyone loves “found time,” so if you are not prepared or do not need one of your regularly scheduled meetings, it is usually fine to cancel (with enough heads-up and a good justification!). Find a research group you can connect with regularly. The deeper you dive into your dissertation, the more it will feel like a one-(wo)man battle. Finding a group of like-minded researchers with whom you can meet on a daily or weekly basis to casually share your ideas, findings, and concerns can really alleviate some of the stress that builds up throughout your program. When you need quick clarification on a concept or an extra set of eyes on some stubborn code, reaching out to others in your lab group or student network can save you time and frustration. Regular meetings with your research lab group can also keep you updated on recent progress in your field and projects that fellow colleagues are working on, which could inspire new ideas or additional analyses that you could incorporate into your own work. Take the lead of your own dissertation. Although you’ll receive continuous feedback from your mentors and fellow researchers throughout your program, it’s up to you to take the lead in coming up with ideas for new proposals, analyses, and fallback strategies when things don’t go as planned. You aren’t expected to figure everything out by yourself, but it’s always better to ask your advisor or mentors for feedback on a next step or solution that you’ve identified than to expect them to come up with a Plan B for you. Most folks are happy to answer some questions or provide their insights on a problem, provided that you’ve already thought through it carefully on your own. Keep your career in mind as you start working on your dissertation. So, you’re getting a doctoral degree. Then what? Although identifying what you want to do after you finish your doctoral studies can be tricky, sorting that out will not only help guide how you frame your dissertation and what types of research projects you tackle, but it will also help you pinpoint what other experiences you might want to obtain before you enter the job market. For instance, if you’re interested in an academic career, you’ll want to invest time in securing publications and attending conferences where you can network and connect with potential collaborators and key personnel in your desired career field. If, on the other hand, you are set on a career in industry, you’ll want to identify the skills and competencies that are currently most sought-after and take on relevant courses, projects, and/or internships to meet those requirements. This might include familiarity with statistical software/programming languages (e.g., SAS, R, Python, Java) or experience in working with data types commonly used in industry, such as large genomic data, electronic health records, and clinical trial data. Regardless of your career path, the sooner you begin preparing for the next step after graduation, the better. Practice daily writing. 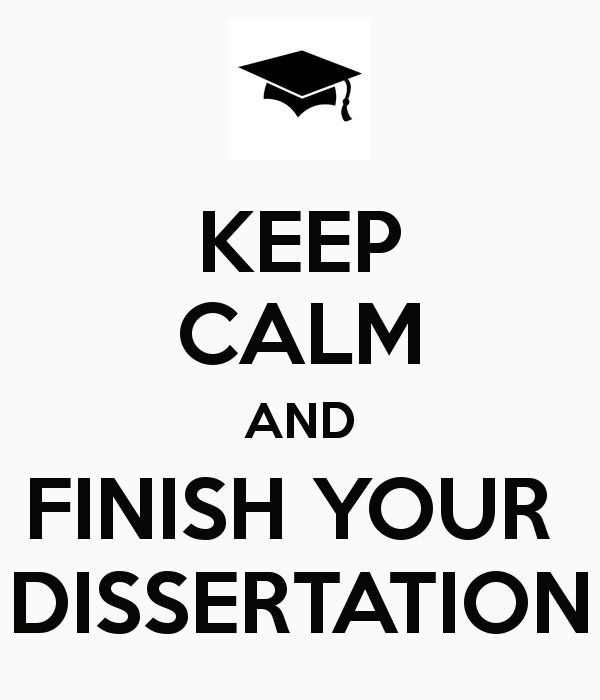 Writing, needless to say, is one of the key components of successfully completing your dissertation. Developing strong writing skills comes with practice, practice, and more practice. Think of your dissertation like a marathon—the best way to train is to get into the habit of writing every day. Practicing daily writing—whether it be writing fun blogs like this one or jotting down sentences/paragraphs for your dissertation—will help you conquer your final dissertation write-up when the time comes. Simply carve out at least 30 minutes a day to focus on finishing a paragraph or two of your introduction or an outline for your discussion—that’s all it takes! Balancing these daily writing sessions with more of the “binge” sessions (where you write on hours for end) provide two different but complementary paths to make progress on your dissertation. Take breaks and have fun. Sometimes doctoral students lose track of time and forget to take breaks for self-care, but the last thing you want is to feel completely burnt-out before you finish writing your dissertation. Try to get out of your seat and walk around at least once every hour and squeeze in some exercise a few times a week. Brief pauses from work can in fact help us stay focused on tasks and improve your productivity. Also, say yes to your friends’ or family’s events when you can; it’ll help you clear out your mind and bring a fresh perspective to your work when you get back to it again. And of course, try to sleep at least 8 hours a night. We hope some of the tips we’ve shared will be helpful for fellow doctoral students. But remember: the dissertation process is different for every student, and sometimes progress may feel nonlinear—that’s all part of learning and growth! Good luck and happy dissertating.